Grab Bars | Accessibuilt, Inc.
As we grow older and more unsteady on our feet, there are places right in our home that become not only challenging, but downright dangerous. The bathroom is the most dangerous place in the home, especially as we age. It gets tricky to lift our leg up over the edge of the tub, but then if you combine that with wet feet on a slippery floor while trying to steady yourself on the water control handle, a hard fall can happen. This is probably not something you don’t already know. A fall can be a life changing event, and not for the better. 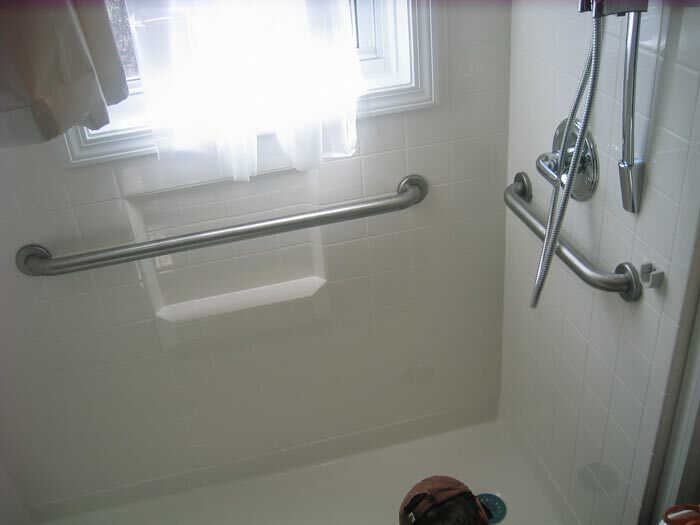 We have been installing grab bars, along with our full service accessibility home modifications for 15 years. We have installed over 2500 grab bars in homes just like yours, meeting the needs of others just like you. Who is Grab Bar 1? 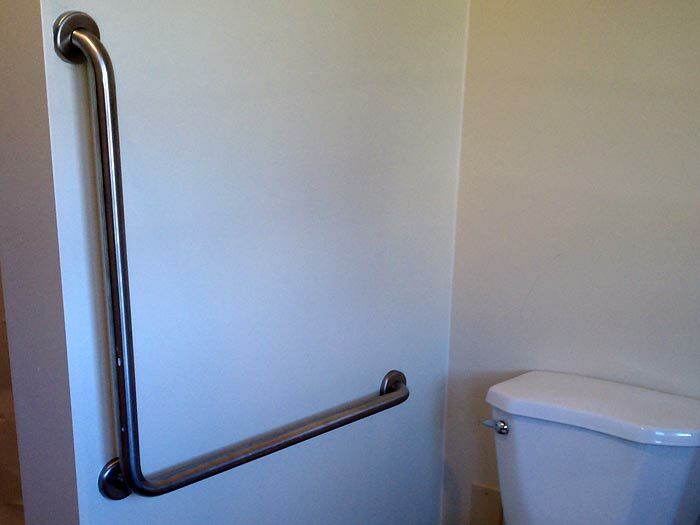 We are a full service grab bar installation company, a division of Accessibuilt, Inc., located in Waynesville, NC. Our service area is Buncombe and surrounding counties, with the addition of Jackson County. There is no additional travel fee in Haywood and Buncombe counties. Outside of these 2 counties we charge a nominal $45 fuel/travel fee on installations. No. We can usually schedule the installation within a few days, and the installation most often takes under an hour per grab bar. Can I put these in myself? Yes you can. If you have the know-how, the specific tools, and the confidence to know that the job is done right. It’s pretty important that your mom doesn’t take a fall when she needs the secure grab bar installation the most. Our safe, secure installation starts at just $129 each when you buy two. Don’t take the chance on an improperly mounted grab bar when you need it most. Do you offer a less commercial/industrial look? Yes. Our most common grab bar and the one we stock, is a 1-½ inch diameter stainless steel grab bar, with a brushed stainless look and feel. We have many options in this category for grip, length, and configuration. Additionally we offer designer colors and styles available from many different manufacturers. 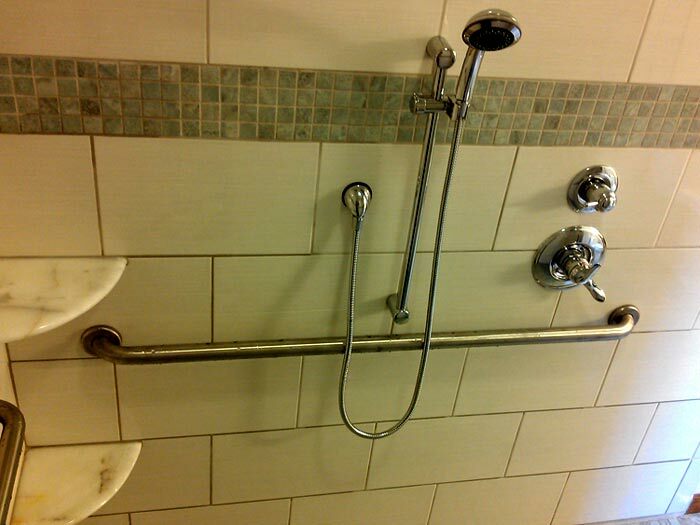 Is a grab bar installation expensive? No. Pricing can vary by grab bar size/style and the mounting surface, but our basic installation starts at $129 each when you buy 2. 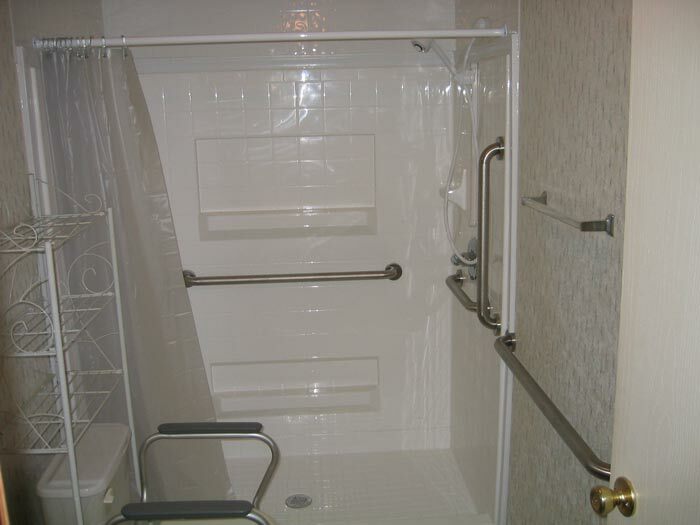 This includes up to a 30 inch long stainless steel grab bar, installed in sheetrock or fiberglass.